I just rode one this noon after coming back from my friends wedding. one thing for sure it’s still loud as ever!! The original manufacturer of this vehicle are from india, which in fact has been a moved to a higher level of vehicle manufacturing. The company now produce exquisite line of motorcycle product, one of them is bajaj pulsar. The big question is why does capital city such as Jakarta still allowed bajaj tricycle to roam free the city(except protocol street) even though it’s very loud and it’s unfriendly to the environment? 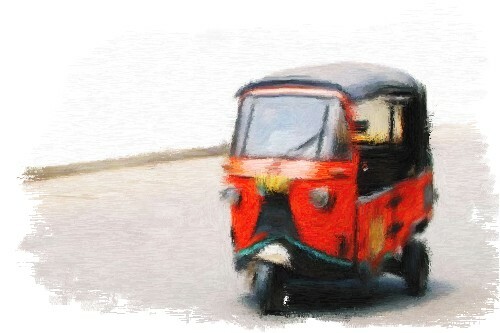 the answer lies on its mobility and it’s cheap, considering the traffic jam are a “ritual” that are performed in the morning, bajaj move very fast in the midst of it and its really cheap considering the tension and the time that are wasted in the traffic jam. Previous PostKalau saya punya Eee PCNext PostWHAT THE F***!!! !